Ms. Frizzle’s got nothing on Ms. Estella. For one, she’s three-dimensional and has a pulse. And while Ms. Frizzle can navigate her “Magic School Bus” through body cavities and into space, Ms. Estella’s Brilliant Bus–while on ground–is decked out with the latest technology to teach kids how to join the Digital Age. It may be a foreign concept to some low-income schools, but Ms. Estella aims to close that gap. 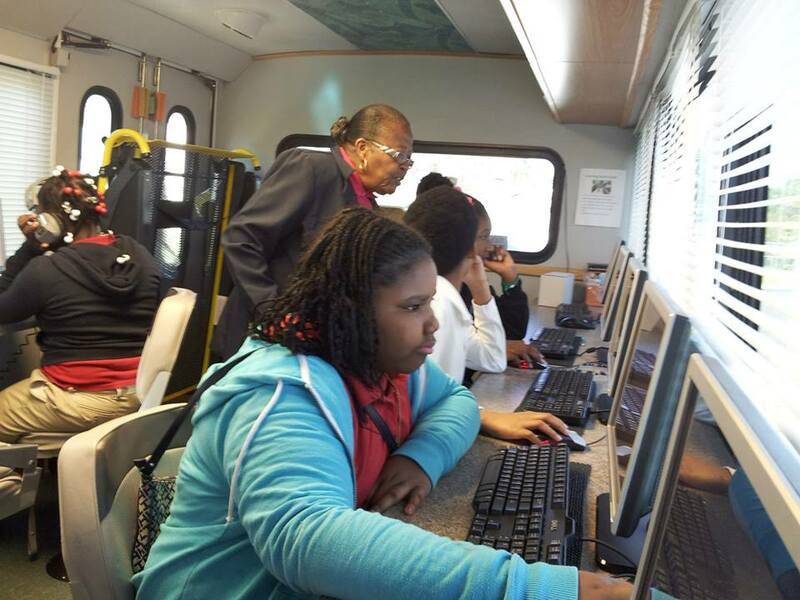 The retired school teacher, 78, used her pension (after 5 decades as an educator) to fashion a bus into a computer lab with several workstations, and offered digital media equipment. The “school on wheels” travels throughout South Florida to give kids free online services. Brilliant Bus charity tackles everything from anti-bullying to college preparedness training. The empowering feat kills two birds with one stone: Estella Pyfrom continues doing what she loves and preparing young kids, whose schools don’t have technological tools, for a new world. To take her project to the next level, she’s teaming up with NBA All Star Dale Davis to raise $100K to launch a Tech-innovation summer camp for 50 lucky kids. The camp will take a multi-city tour and end at the ESSENCE fest in New Orleans’ for the #YesWeCode event. To make a donation for the summer Tech Innovation, click here.